I'm proud to call myself a founding member & trustee of this ground breaking collective based in East Belfast. Vault Artist Studios is a group of artists working across many disciplines. We are visual artists, musicians, puppeteers, photographers, film-makers, bee-keepers and writers. Vault Artists Studios are a community driven, not for profit arts charity with the mission to provide affordable art studios for creatives working across a wide variety of art forms. 88 artists have established the groundbreaking co-operative under one roof in East Belfast. Calling oursleves Vault Artist Studios, we have moved into the old Belfast Metropolitan College building in Tower Street. The initiative is a reprise for the group who were formerly known as the Belfast Bankers after we were offered the temporary use of the empty Ulster Bank at the Holywood Arches last year. It began with a mysterious email... In Late 2016, founding member Adam Turkington received the kind of out-of-the-blue email you might just scroll past but which contained an extraordinarily generous offer: would he be able to make use of an old Ulster Bank building in East Belfast for a year? 23 artists came together, united by the twin ideas of building a community of artists, and making as much happen in one year as we possibly could. There would be monthly meetings, everyone would actively contribute towards the project, we would engage with the local community, we would make great art – and we would see if this could be the beginning of something wonderful. Our neighbours joined in. Local people came and shared food, gained insight into the secretive working practices of artists, learnt how to play the piano, watched beekeepers in action, listened to live music and shared our vision of placing the arts at the heart of the community. 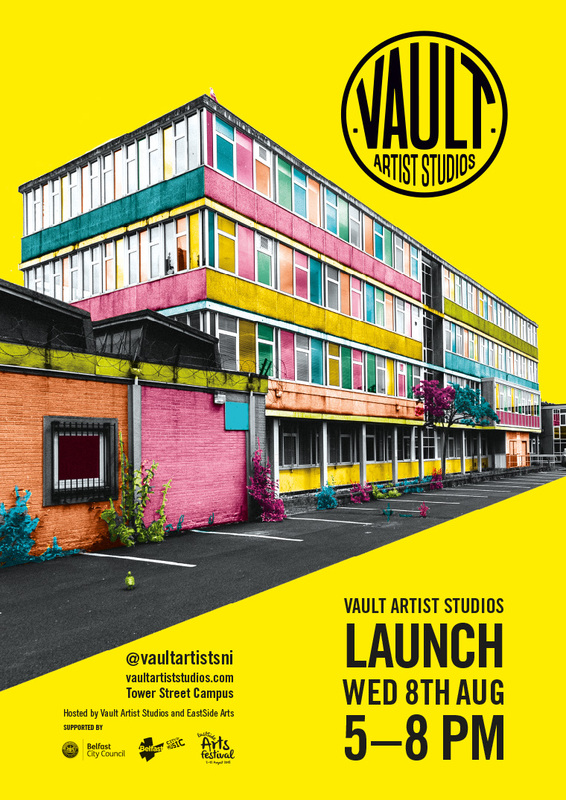 In a short period of time; Vault Artists studios have become a major contributor to the cultural identity of Belfast and the creative narrative of the city.